February 15th, 2012 Comments Off on Ring it up! Headed out later today to determine if this (picture right) is our cash register. We’ll be using a modern point of sale system with inventory control for our transactions as a matter of course. 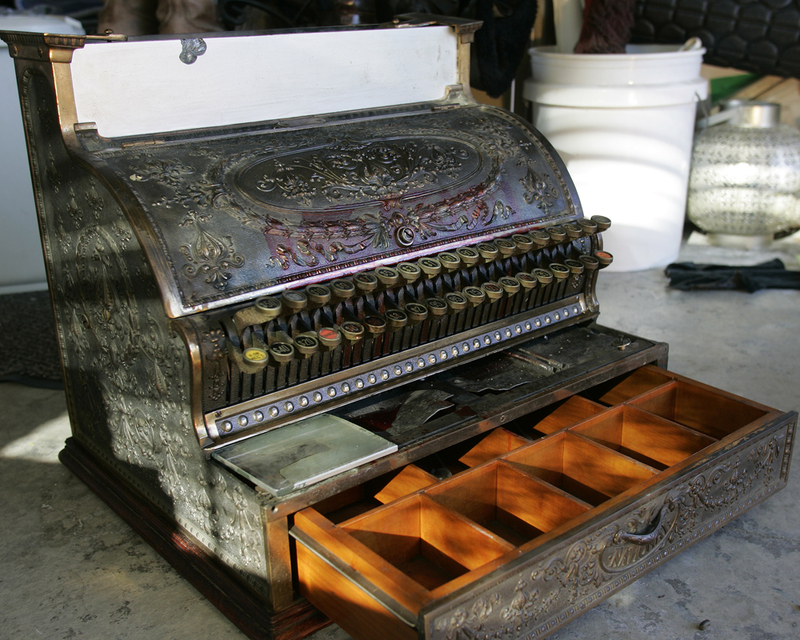 There’s something about an old brass National Cash Register (NCR) machine that adds a little something to any store. Couple that with the fact that it came from Dayton, Ohio – close to the old country for us. It’s something of a connection across distance and time that is nice to contemplate. Clearly there will be some restoration work required and that could be fun too. You are currently reading Ring it up! at Oddyssea.